Demonetization will be beneficial to organized sector. Note ban is big positive for the stock market. Due to note ban lot of white money will come in the economy. The household savings which was never part of equity market will enter in equity market via mutual fund routes. Indian Household will drive the market in 2017 and not FII. Uncertainty over cash crunch is over and there are lots of opportunities in the market. Don’t waste opportunities by listening to negative guys. Don’t miss to buy your favorite stocks available at attractive valuations. Don’t think about the short term. Learn to Think about Long term beyond two or three quarter. You will defiantly able to get a good return over a long run. Porinju Veliyath has recommended following stocks for investment in 2017. The first stock recommendation by porinju in 2017 is J Kumar Infra. J Kumar Infra is real estate and building construction company. J Kumar Infra is likely to get benefit from upcoming infrastructure initiatives. Sunil Hitech is next stock recommendation by Porinju Veliyath in 2017. Sunil Hitech is in the business of fabrication, erection, and commissioning of power plants. In addition to that company also participate in infrastructure projects. The stock is available at a reasonable valuation and a good buy for 2017. Porinju also recommends investment in rail wagon manufacturer Texmaco. Texmaco is likely to get benefited from upcoming projects and likely to perform better in 2017. The next stock recommendation by Porinju is Titagarh Wagons. Titagarh Wagons is a supplier of the wagon and heavy engineering equipment. Titagarh Wagons is likely to perform better in 2017 as per porinju. Skasoft is next stock pick by Porinju Veliyath in 2017. Skasoft is IT based company working on digital transformation and IoT projects. Looking at upcoming business opportunity Saksoft will defiantly give good return in 2017. In addition to above stock, Porinju has also recommended stocks like Datamatics, Bombay Burmah Trading Corporation, HSIL, TCI & Orient Cement. 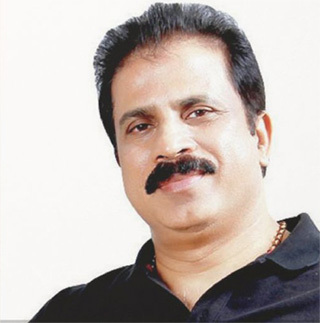 Porinju advice is to help poor and underprivileged people. If you have one million rupees as investible surplus, keep 10 % of it to help the poor and underprivileged. 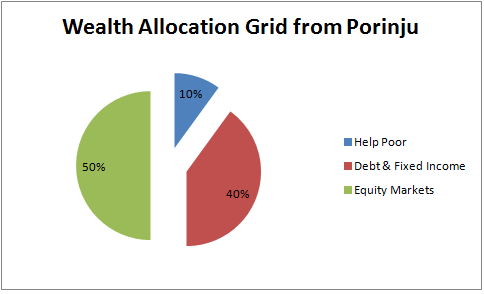 Another 40 % should go into fixed income assets and the rest 50 % into equities. Another valuable piece of advice by Porinju Veliyath for 2017 is to maintain discipline and simplicity in approach while investing. What is your take on Porinju’s stock recommendation for 2017? Do share your views in the comment section. Though he has recommended these stocks , I do not see these stocks in his stock holding published in another article on your blog. Is there any specific reasons for this.